We kick off Cars & Coffee Brisbane for 2018 on Saturday the 6th of January. Please join us in your rare, classic, vintage, historic, exotic or even race vehicles. 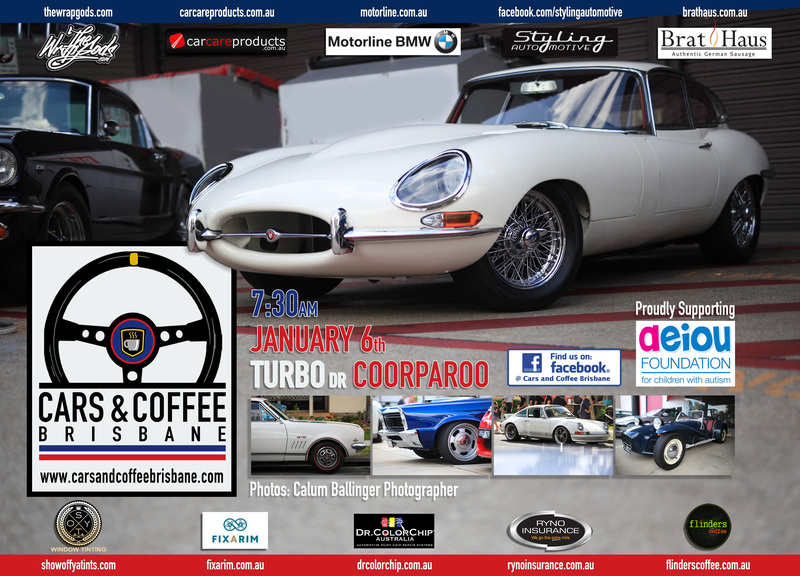 We would like to thank our ongoing sponsors Styling Automotive, Show off ya Tints, Ryno Insurance Services Pty Ltd, Car Care Products, Flinders Coffee, Motorline BMW, Fixarim Pty Ltd, The Bratmobile, The WRAP GODS & Dr ColorChip Australia. If your company would like to sponsor C&C in 2018, please message us. Our charity is once again AEIOU Foundation for Children with Autism. There will be collection tins on the tables at the Flinders Coffee vans. Please support their worthy cause.